Are you looking for a more effective advertising method? How about one that offers full transparency and that will be continually optimized to ensure your budget is being utilized as wisely as possible? If so, consider PPC search advertising with Google AdWords. Appear for the searches that matter to you and your customers the most with a Google AdWords Search campaign by O3M. Our trained, experienced analysts will continually optimize your campaign to get the most out of your advertising budget. 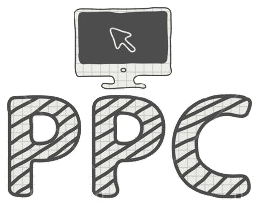 Google Search advertising operates on a CPC (cost per click) model. This means that you are charged only when a searcher actively engages with your ad. We then utilize conversion tracking to focus on the searches that are delivering the most business value to you. The only Google India Premier SMB Partner awarded first place in Highest Customer Satisfaction. Something we have achieved the last 4 years (2014-2017). Enthusiastic, experienced & trained analysts who will first work to understand your business and then deliver effective solutions. An ethical partner. Our fees are clearly stated and there are no hidden mark-ups.